Latent learning occurs without any obvious conditioning or reinforcement of a behavior, illustrating a cognitive component to learning. Prior to the theory of latent learning, behaviorists believed that learning could only occur through conditioning —associating a stimulus with a specific response. Latent learning showed that there was a cognitive component of learning that was not related to conditioning. Edward C. Tolman first proposed the theory of latent learning in 1930, when his experiments with rats showed that learning was taking place even without the immediate presence of a reward. Latent learning has also been shown in humans: for example, children can learn by watching the actions of their parents but only demonstrate this learning at a later date, when the learned material is needed. latent learning: A form of acquiring knowledge or skill that is not immediately expressed in an overt response; it occurs without obvious reinforcement, to be applied later. reinforcement: The process whereby a behavior with desirable consequences is rewarded and comes to be repeated. Latent learning is a form of learning that is not immediately expressed in an overt response. It occurs without any obvious reinforcement of the behavior or associations that are learned. Interest in this type of learning, spearheaded by Edward C. Tolman, arose largely because the phenomenon seemed to conflict with the widely held view that reinforcement was necessary for learning to occur. Latent learning is not readily apparent to the researcher because it is not shown behaviorally until there is sufficient motivation. This type of learning broke the constraints of behaviorism, which stated that processes must be directly observable and that learning was the direct consequence of conditioning to stimuli. Latent learning implies that learning can take place without any behavioral changes being immediately present. This means that learning can be completely cognitive and not instilled through behavioral modification alone. This cognitive emphasis on learning was important in the development of cognitive psychology. Latent learning can be a form of observational learning (i.e., learning derived from the observation of other people or events), though it can also occur independently of any observation. Edward Tolman: Edward Tolman was a behavioral psychologist who first demonstrated latent learning in rats. While he was a behaviorist in method, his work with latent learning disproved the behaviorist idea that learning was solely a product of conditioning. Edward Tolman (1886–1959) first documented this type of learning in a study on rats in 1930. Tolman designed a study with three groups of rats placed in a maze. The first group received no reward for finishing, the second received a reward, and the third received no reward for the first 10 days but then received a reward for the final eight. The first group consistently made errors in running the maze and showed little improvement over the 18-day study. The second group showed constant improvement in the number of errors made. The third group showed little to no improvement over the first ten days, then dramatically improved once a food reward was presented. Interestingly, the third group’s improvement was more pronounced than the second “constant reward” group. Tolman theorized that the rats in the third group had indeed been learning a “cognitive map” of the maze over the first ten days; however, they’d had no incentive to run the maze without any errors. Once a reward was presented, the learning that had remained latent became useful, and the rats ran the maze more efficiently. While most early studies of latent learning were done with rats, later studies began to involve children. One such experiment required children to explore a series of objects to find a key. After finding the key, the children were asked to find “non-key” objects. The children found these objects faster if they had previously been exposed to them in the first part of the experiment. Their ability to learn this way increased as they became older (Stevenson, 1954). Children may also learn by watching the actions of their parents but only demonstrate it at a later date, when the learned material is needed. For example, suppose that Ravi’s dad drives him to school every day. In this way, Ravi learns the route from his house to his school, but he’s never driven there himself, so he has not had a chance to demonstrate that he’s learned the way. One morning Ravi’s dad has to leave early for a meeting, so he can’t drive Ravi to school. Instead, Ravi follows the same route on his bike that his dad would have taken in the car. This demonstrates latent learning: Ravi had learned the route to school but had no need to demonstrate this knowledge earlier. In another example, perhaps you’ve walked around a neighborhood regularly and noticed—but never used—a particular shortcut. One day you receive a text telling you there is free pizza at a restaurant in the neighborhood, but only for the next 15 minutes. You use the shortcut that you’d noticed because you want to get there quickly. While you had developed a cognitive map of the area through latent learning, you’d never demonstrated a behavior that indicated you had done so until you were required to. Observational learning occurs from watching, retaining, and replicating a behavior observed from a model. Observational learning, or modeling, is a type of learning most associated with the work and social learning theory of psychologist Albert Bandura. Observational learning is thought to be particularly important during childhood. It allows for learning without any direct change to behavior; because of this, it has been used as an argument against strict behaviorism. Observational learning can produce new behaviors, and either increase or decrease the frequency with which a previously learned behavior is demonstrated. This type of learning can also encourage previously forbidden behaviors. Albert Bandura first demonstrated observational learning in his now-famous Bobo-doll experiment (1961). After seeing adults hit a doll, children were shown to have learned the aggressive behavior. In order for observational learning to occur, the observer must pay attention to an action, remember the observed behavior, be able to replicate the behavior, and be motivated to produce the behavior. If a model is rewarded for his or her actions, an observer is more likely to replicate the behavior. The more an observer likes or respects the model, the more likely they are to replicate their behavior. social learning: A cognitive process that takes place in a social context and can occur purely through observation or direct instruction. vicarious reinforcement: Occurs when a person imitates the behavior of someone who has been reinforced for that behavior. Albert Bandura: (1925–present) A psychologist and learning theorist who first proposed social learning theory and can be credited for first noting observational learning. observational learning: Learning that occurs as a function of seeing, retaining, and, in the case of imitation learning, replicating novel behavior executed by other people. vicarious punishment: Occurs when a person avoids the behavior of someone who has been punished for that behavior. Observational learning, also referred to as modeling or social learning, occurs by observing, retaining, and replicating behavior seen in others. The individuals performing the imitated behavior are called models. While this type of learning can take place at any stage in life, it is thought to be particularly important during childhood, when authority is important. Stemming from Albert Bandura’s social learning theory, observational learning allows for learning without any direct change to behavior; because of this, it has been used as an argument against strict behaviorism, which argues that behavior must occur for learning to have taken place. Observational learning can teach completely new behaviors or can affect the frequency of previously learned behaviors. This type of learning can also encourage previously forbidden behaviors. In some cases, observational learning can have an impact on behaviors that are similar to, but not identical to, the ones being modeled. For example, seeing a model excel at playing the piano may motivate an observer to play the saxophone. The observational theory of learning implies that behavior is not simply shaped by immediate consequences, but rather by considering the implications of an action. One of the first recorded instances of observational learning in research was the 1961 study performed by Albert Bandura. This experiment demonstrated that children can learn merely by observing the behavior of a social model, and that observing reinforcement of the model’s behavior could affect whether or not a behavior was emulated. Bandura believed that humans are cognitive beings who, unlike animals, are (1) likely to think about the links between their behavior and its consequences, and (2) more likely to be influenced by what they believe will happen than by actual experience. In his experiment, Bandura studied the responses of nursery-school-aged children to the actions of adults. The children were presented with a short film in which an adult model directed aggression towards an inflatable Bobo doll. Three main conditions were included: a) the model-reward condition, in which the children saw a second adult give the aggressive model candy for a “championship performance”; b) the model-punished condition, in which the children saw a second adult scold the model for their aggression; and c) the no-consequence condition, in which the children simply saw the model behave aggressively. Bobo-doll experiment (Bandura): The Bobo-doll experiment was conducted by Albert Bandura in 1961 and studied patterns of behavior associated with aggression. Bandura hoped that the experiment would prove that aggression can be explained, at least in part, by social learning theory. The theory of social learning states that behavior such as aggression is learned through observing and imitating others. Observers cannot learn unless they pay attention to what is happening around them. This process is influenced by characteristics of the model, as well as how much the observer likes or identifies with the model. It is also influenced by characteristics of the observer, such as the observer’s expectations or level of emotional arousal. Observers have to not only recognize the observed behavior, but also remember it. This process depends on the observer’s ability to code or structure the information so that it is easily remembered. Observers must be physically and intellectually capable of producing the act. In many cases the observer possesses the necessary responses, but sometimes reproducing the observed actions may involve skills the observer has not yet acquired. You will not be able to become a champion juggler, for example, just by watching someone else do it. An observer must be motivated to reproduce the actions they have seen. You need to want to copy the behavior, and whether or not you are motivated depends on what happened to the model. If you saw that the model was reinforced for her behavior, you will be more motivated to copy her; this is known as vicarious reinforcement. On the other hand, if you observed the model being punished, you would be less motivated to copy her; this is called vicarious punishment. In addition, the more an observer likes or respects the model, the more likely they are to replicate the model’s behavior. Motivation can also come from external reinforcement, such as rewards promised by an experimenter. Insight learning occurs when a new behavior is learned through cognitive processes rather than through interactions with the outside world. Insight learning does not involve gradual shaping or trial and error. Instead, internal organizational processes occur that cause new behavior. Wolfgang Kohler’s most famous study on insight learning (1925) involved Sultan the chimpanzee, who, Kohler argued, used insight to learn a creative way of attaining fruit that was out of reach. Contrary to strict theories of behaviorism, insight learning suggests that we learn not only by conditioning, but also by cognitive processes that cannot be directly observed. In humans, insight learning occurs whenever the solution to a problem suddenly appears, even if previously no progress was being made. Insight should not be confused with heuristics. An insight is realizing a new behavior to solve a problem, while a heuristic is a mental shortcut to help process a large amount of information. heuristic: An experience-based technique for problem solving, learning, and discovery that yields a solution that is not guaranteed to be optimal. insight: Acute observation and deduction; penetration; discernment; perception. 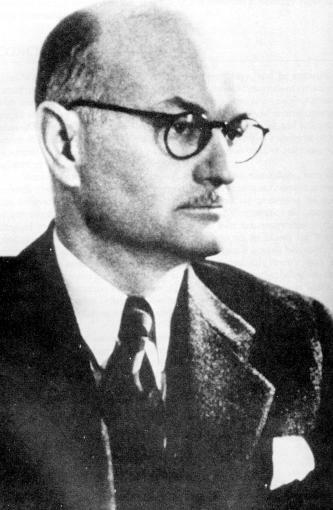 Insight learning was first researched by Wolfgang Kohler (1887–1967). This theory of learning differs from the trial-and-error ideas that were proposed before it. The key aspect of insight learning is that it is achieved through cognitive processes, rather than interactions with the outside world. There is no gradual shaping or trial and error involved; instead, internal organizational processes cause new behavior. Kohler’s most famous study on insight learning involved Sultan the chimpanzee. Sultan was in a cage and was presented with a stick, which he could use to pull a piece of fruit close enough to the cage so that he could pick it up. After Sultan had learned to use the stick to reach the fruit, Kohler moved the fruit out of range of the short stick. He then placed a longer stick within reach of the short stick. Initially, Sultan tried to reach the fruit with the short stick and failed. Eventually, however, Sultan learned to use the short stick to reach the long stick, and then use the long stick to reach the fruit. Sultan was never conditioned to use one stick to reach another; instead, it seemed as if Sultan had an epiphany. The internal process that lead Sultan to use the sticks in this way is a basic example of insight. Chimpanzees solving problems: Watch this video to see an experiment much like those conducted by Wolfgang Köhler. A basic assumption of strict behaviorism is that only behavior that can be seen may be studied, and that human behavior is determined by conditioning. Insight learning suggests that we learn not only by conditioning, but also by cognitive processes that cannot be directly observed. Insight learning is a form of learning because, like other forms, it involves a change in behavior; however, it differs from other forms because the process is not observable. It can be hard to define because it is not behavioral, a characteristic that distinguishes it from most theories of learning throughout the history of psychology. Initially, it was thought that learning was the result of reproductive thinking. This means that an organism reproduces a response to a given problem from past experience. Insight learning, however, does not directly involve using past experiences to solve a problem. While past experiences may help the process, an insight or novel idea is necessary to solve the problem. Prior knowledge is of limited help in these situations. Crows learning through insight: In another experiment, a crow creatively learns to bend a wire to get food out of a jar. In humans, insight learning occurs whenever we suddenly see a problem in a new way, connect the problem to another relevant problem/solution, release past experiences that are blocking the solution, or see the problem in a larger, more coherent context. When we solve a problem through insight, we often have a so-called aha or eureka moment. The solution suddenly appears, even if previously no progress was being made. Famous examples of this type of learning include Archimedes’s discovery of a method to determine the density of an object (“Eureka!”) and Isaac Newton’s realization that a falling apple and the orbiting moon are both pulled by the same force. Insight should not be confused with heuristics. A heuristic is a mental shortcut that allows us to filter out overwhelming information and stimuli in order to make a judgement or decision. Heuristics help us to reduce the cognitive burden of the decision-making process by examining a smaller percentage of the information. While both insight and heuristics can be used for problem solving and information processing, a heuristic is a simplistic rule of thumb; it is habitual automatic thinking that frees us from complete and systematic processing of information. Insight is not a mental shortcut, but instead is a way to arrive at a novel idea through cognitive means. Rather than being habitual or automatic, insight involves coming up with a new idea that does not result from past experience to solve a problem. While heuristics are gradually shaped by experience, insight is not. Instead, internal processes lead to new behavior.